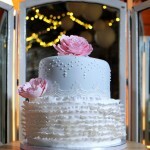 What could be more beautiful than an intimate, mid-week wedding in gorgeous Montville in the Sunshine Coast Hinterland? 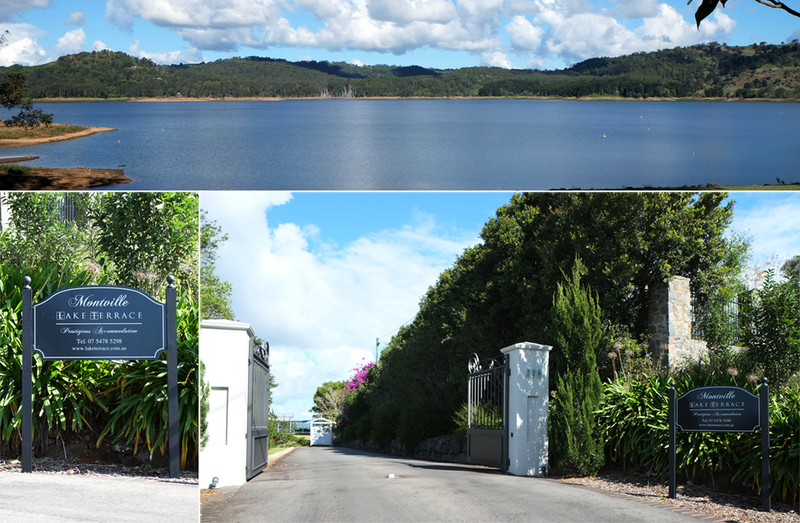 With beautiful views overlooking Baroon Pocket, and immaculate grounds, Montville Lake Terrace provided the perfect setting for Chantel & Shaun’s Autumn wedding. 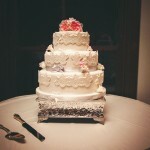 The very sweet couple chose a two tier square wedding cake, with the top tier offset. 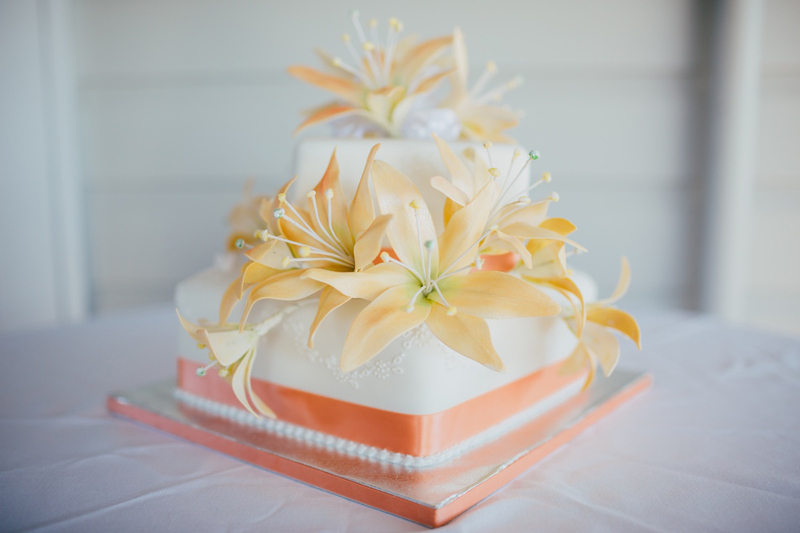 Decorations included three sprays of handmade icing flower lilies in a peach colour, piped embroidery, and peach-coloured ribbon around the base of each tier. I have made this design for a previous wedding using different colours, and really enjoyed recreating the cake in soft peach. This simple colour change created a fresh and different look, while staying true to the original design. 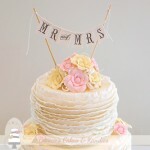 I’d like to say a very big thank you to Talitha from Artography for permission to share some of her gorgeous images of the cake in this post. If you are looking for a Sunshine Coast wedding photographer, I recommend that you have a look at more of the team at Artography’s beautiful work! 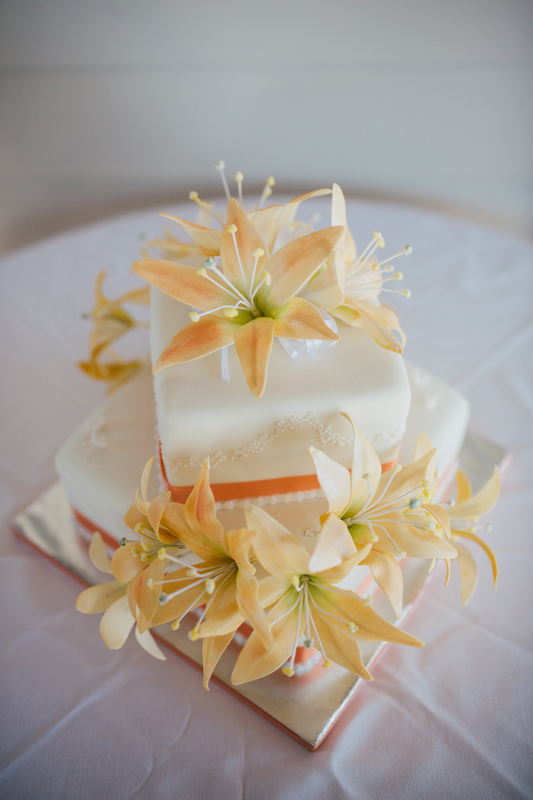 Peach-coloured lilies arranged over Chantel & Shaun’s square wedding cake. Beautiful photograph by Talitha at Artography. 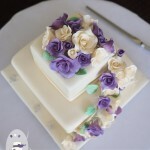 The top tier of the cake was off-set, with piped embroidery around the sides, and sprays of handmade icing lilies. Photograph by Talitha at Artography. Chantel, Shaun and their guests enjoyed dark chocolate mud as the cake flavour. 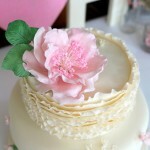 The filling was white chocolate buttercream, and both tiers were covered with my handmade white chocolate fondant. It was such a pleasure to be involved in making this special celebration a little bit sweeter, and I wish the happy couple all the very best for the future! Talitha from Artography captured the beauty of Chantel & Shaun’s intimate Montville Lake Terrace wedding. 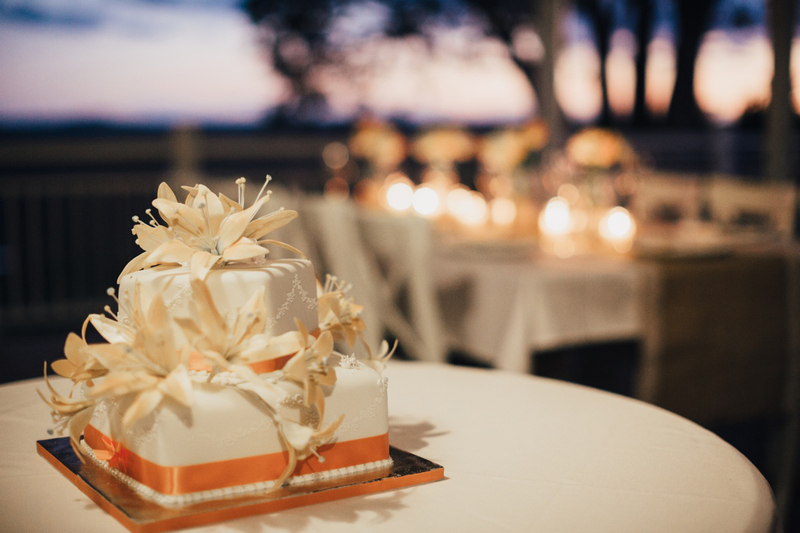 Thank you again to Talitha and Artography for allowing me to share their beautiful images of Chantel & Shaun’s wedding cake by Bonnie’s Cakes & Kandies.